In my last post I described the recent evolution of Gaoping’s peasant-tourism cooperative association. Mainly, how the villagers scaled up from scattered, individual households opening their homes to tourists, to sharing resources and combining services to form the ‘Four Unifications’ model, which is now promoted across the Lishui prefecture. It is this type of rural experimentation, cooperation, and innovation that underlies the New Rural Reconstruction Movement (NRRM) as an alternative to the ‘utopian marketization’ of rural society, and looks to local communities for grassroots solutions to overcome the rural crisis or ‘sannong wenti‘ (hence my “seeking truth from fact”). 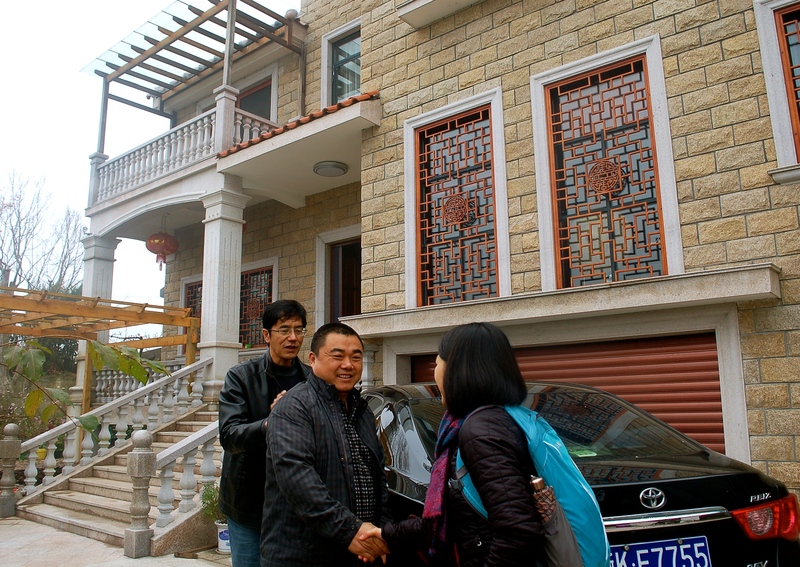 Mr. Bao is pictured in the middle, in front of his home. 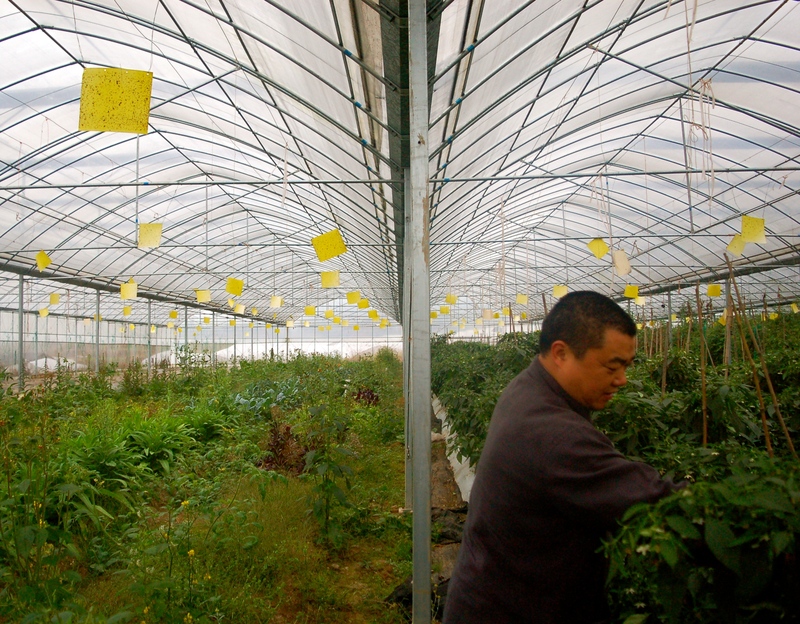 Prior to 2008, Mr. Bao, the founder of Gaoping’s organic co-op, was a migrant worker in Suichang’s county seat. Despite the stigma often associated with migrant workers, after leaving Gaoping village he became quite successful, acquiring a savings of a few million yuan while working in Suichang. Then, in 2007 everyone in his home village voted him to become the Party Secretary. That year he decided to maintain a seat on the village committee, but not to return home. In 2008 the villagers again voted him to become the village Party Secretary – 470 out of 500 villagers voted for him. Knowing that everyone had such high hopes for him, this time he decided to return. 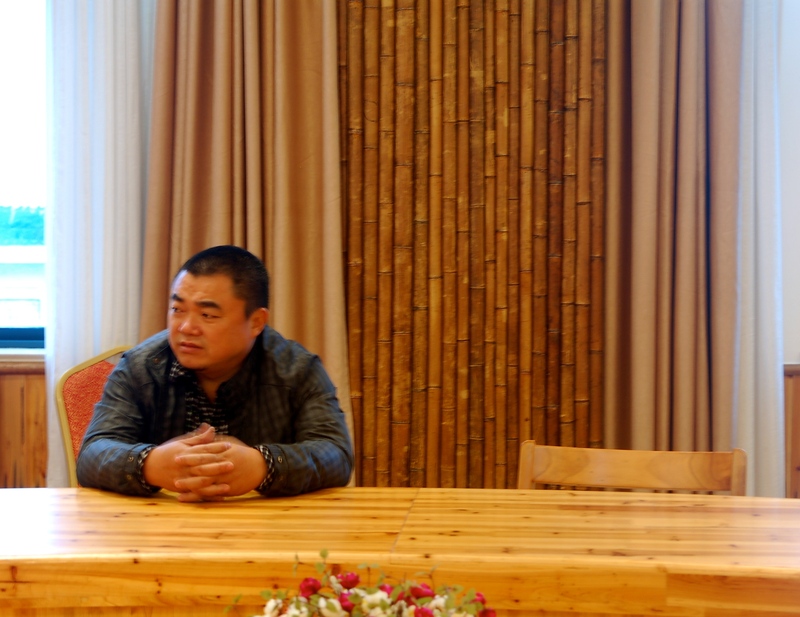 Under Mr. Bao’s guidance, in the past six years the village has transformed dramatically. Echoing what the township party secretary had told us, Mr. Bao said that prior to 2008 ‘Gaoping’ was interchangeable with ‘remote and poor’. Even though villagers had been growing the type of mountain vegetable the co-op now specializes in since 2000, they were all producing individually, and rather than selling their products directly in the market they relied on a ‘middle man’ who came to their village and negotiated with the peasants by household. So even with a high yield, they were weak and vulnerable because they had not banded together. 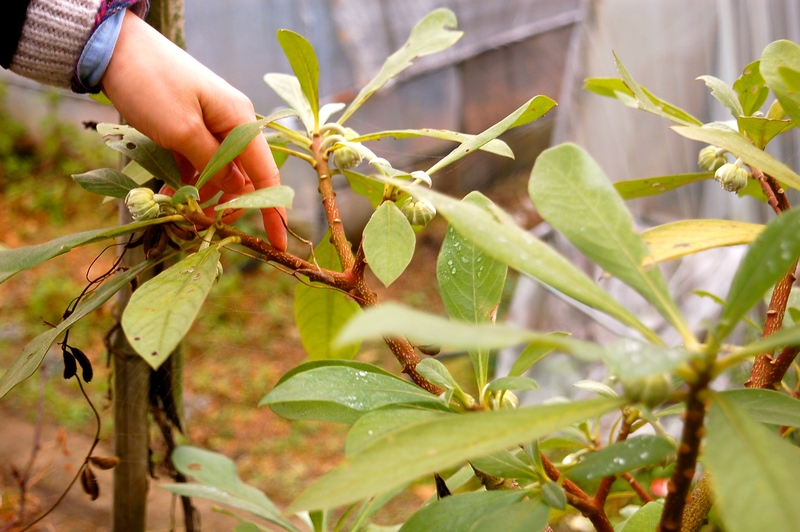 A local farmer, picking vegetables in the co-op’s greenhouse. When Mr. Bao returned, his goal was to unite the farmers, build a cooperative, and help the village make more money. His personal savings were not enough to cover the start-up investment, and he asked each one of his friends (‘the brotherhood’ he called them) to put their homes up as collateral for a loan. In the beginning only 62 households joined the co-op, and then within a month that number declined to 54. Mr. Bao knew that in order to be successful they needed to build a brand, and this required farmers to be more discriminate about the quality of the vegetables they picked to be sold – some farmers didn’t see the point, and felt they were investing more effort to just grow the same type of product they had grown before; no one regulated the quality of their vegetables when they sold them as a household through a middle-man. A view overlooking the co-op greenhouses and fields. However, by cutting out the middle-man, banding together, and selling their brand name products directly for wholesale in big cities like Hangzhou and Shanghai, as well as to wealthy urban households through a ‘fresh vegetable home delivery program’, they were able to turn their initial investment of just 210,000 yuan ($34,250) into a huge profit: over the past six years the value of the co-op has increased to 20 million yuan ($3,260,000), and 147 households (out of 180 households in the village) are currently shareholders. Prior to the co-op, the total savings for the town was about 5 million yuan ($814,000) and today it is 60 million yuan ($9,765,000). 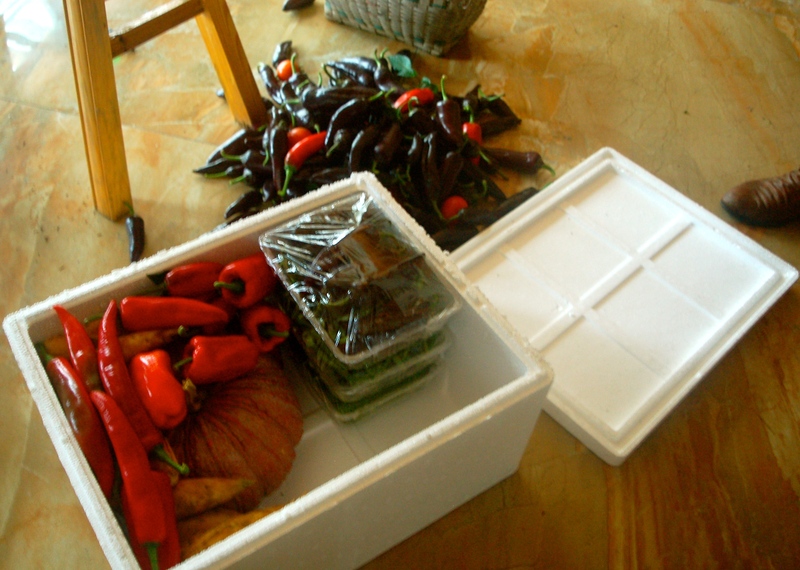 A box of fresh vegetables, prepared to be shipped to an urban household. Mr. Bao has since stepped down as the village Party Secretary, and now mainly works with the co-op. He is their largest shareholder (with 8K out of 15K total shares), but they are self-governed by a shareholder ‘representative congress’, while a shareholder ‘operational committee’ manages the day-to-day operations. So, if the operational committee sees a policy that needs to be changed, they bring it to the representative congress for a vote. 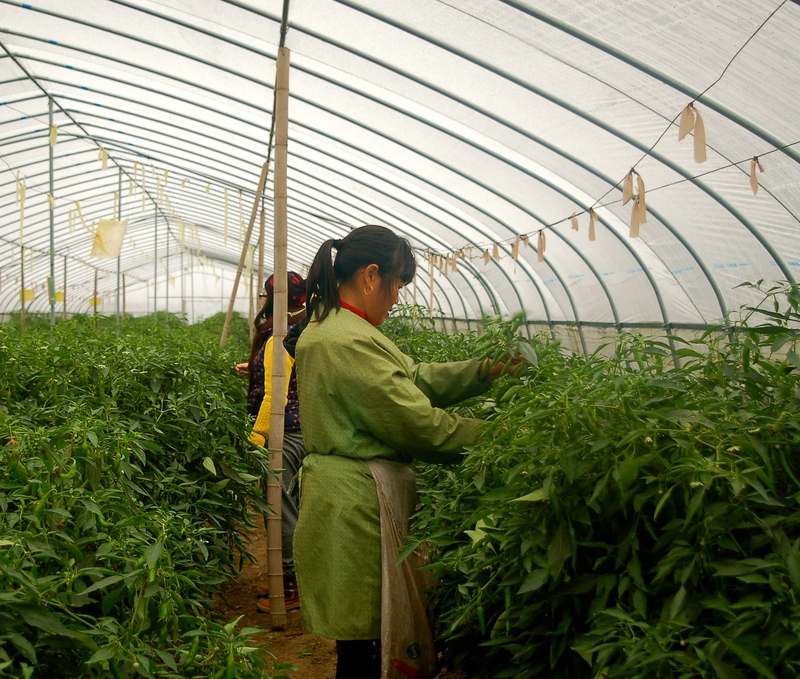 Their brand received widespread recognition a few years ago when it became known that the Zhejiang provincial government was ordering their vegetables for their exclusive dining canteen. The government officials were ordered to stop ‘indulging’ as part of an anti-extravagance campaign, but the scandal was free advertisement for the co-op, and because their brand was associated with the privilege and luxury enjoyed by provincial cadres, their business from wealthy urbanites increased. Today, the co-op is the main driver for the local economy, and therefore the local government’s most important source of revenue. 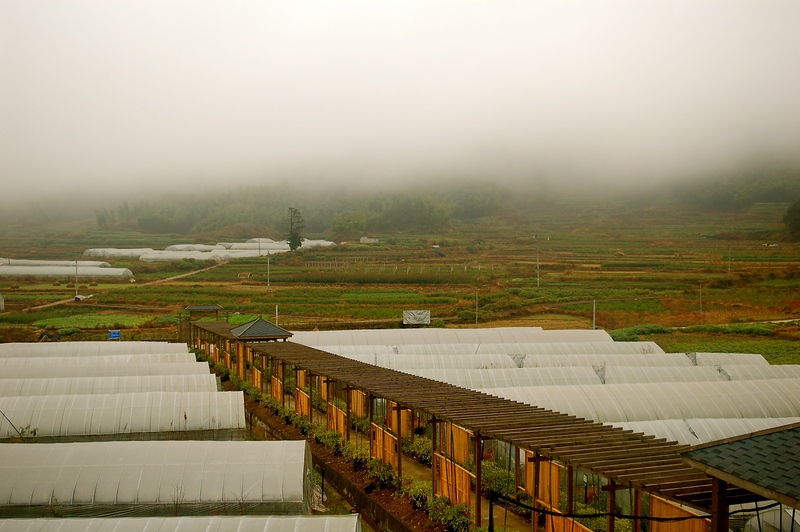 They are held up as something like the ‘golden child’ of Suichang county – as mentioned, they serve as a model for emulation by other villages across the township. In my next post, I’ll discuss Gaoping’s new e-commerce facility that was established in January of this year through a partnership with Alibaba and the local government to help villagers purchase products online. I hope the e-commerce story, juxtaposed with the stories behind these two ‘grassroots’ models, will elucidate the complex confluence of interests that are guiding the trajectory of China’s rural development. This entry was posted in Urban-to-Rural Migration, Zhejiang Province and tagged Back-to-the-Land Movement, cooperatives, local government, organic farming, rural China, rural land-use, Suichang, Zhejiang. Bookmark the permalink.